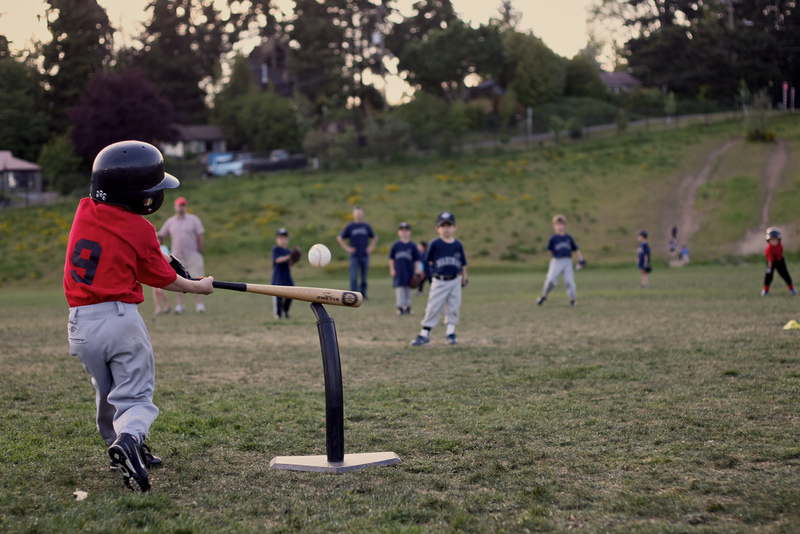 Senior T-Ball is the second level of instructional baseball with an added level of competition added in. It is designed to increase the interest level of young people in the game of baseball by stressing and maintaining active participation by all players. There is a mandatory infield/outfield player rotation that ensures all players at a game get an equal chance at playing both infield and outfield positions. Note: the division of Grasshopper has been eliminated beginning the 2015 season and is being replaced by Senior T-Ball. Participants will have the option to play Senior T-Ball, which speeds up the game, and drastically improves defensive play, or can have the option to move up to play Rookieball if they want to hit against a pitching machine. This above linked article is a good read that lightly touches on the reasons why there is a need for Senior T-Ball instead of Grasshopper. The details aren't specific to our league (7 yr. olds instead of 8 yr. olds, no tee is brought in for Rookieball, Rookieball uses a pitching machine vs. coach-pitched ball) but the fundamentals are. Defence: "Having 8-year-olds in T-ball forces an emphasis on defense because the fielders have to be able to make plays on hard-hit balls. The players who are solid defensively are the ones who control the infield where the hardest balls are hit and the most damage can be done. In order to succeed and protect themselves from the ball, they must be good on defense." Offence: "At the young age of 8 years old, very few players make contact with the ball and are even less likely to make a solid connection. Therefore, the fielders are seldom used and are usually not challenged by the little dribblers that almost reach the pitcher's mound. This does not simulate the true speed of the game, and players do not develop skills as quickly."